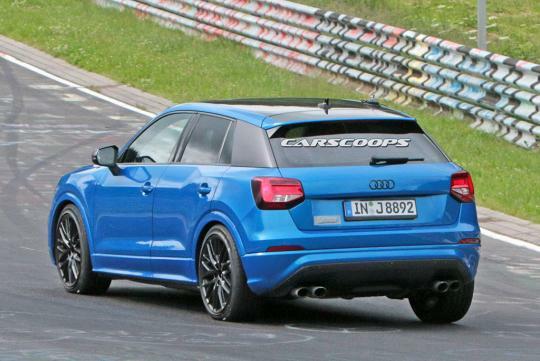 The dust on Audi’s smallest crossover, the Q2 has not even settled yet but Carscoops has already spotted a hotter version of it on the Nurburgring almost completely free of camouflage. The faster iteration of the Q2 is expected to feature the same powertrain as the Audi S3, which means it will should get around 270bhp or thereabouts. Obviously, it will have Audi's all-wheel drive system and from the photos, it looks like it will benefit from larger wheels and brakes. 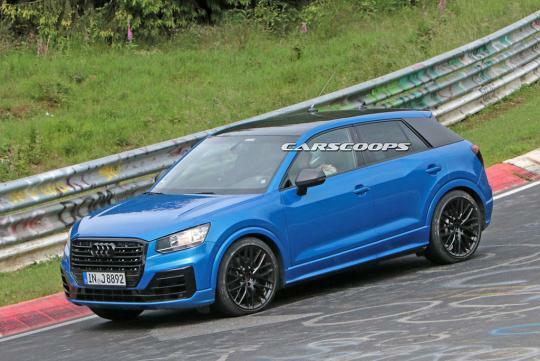 Expect the regular Audi Q2 to be launched after the third quarter of this year, with the faster version a year later.